He said to us: Your writings are not liked at all by the vast majority of people; in Egypt, the religious trends hate your articles and books about religious reform; the government hates your political writings as you attack it and accuse it of corruption: the primary cause for Wahabi religious extremism that recruit frustrated youths. At the same time, you attack extremist clergymen and sheikhs as well as Al-Azhar institution. Thus, everyone hates you! This is against rules of politicians who aim to win everyone to their side! We said to him: You are absolutely right; we are no politician and we seek no rewards, benefits, or gains from anyone; we have no interest in pleasing the masses. Politics is the art of gaining benefits and interests that lead people to tell lies, change stances and positions, and even making pacts with devils. This applies to politicians who are for or against the government there and to all opposition movements as well. We dislike politics and we never oscillate or vacillate in our stances and views. We never compromise, and we never danceamidst the steps of a staircase. We know we lose popularity and support of the vast majority who hates Quranism and religious reform and all types of reform in general. I am a free Muslim thinker and researcher of Muslim history and heritage. In our era, our field specialization bring lots of money for those who sell their pens to please those affluent ones in power, rule, and authority. Those are those who betray their field of specialization as they worship money they receive from their high connections, as the affluent ones care to keep the status quo in Egypt by deceiving the gullible masses by empty mottos, falsified history, falsified religion, etc. The Wahabi political trend calling for theocracies desire that our beloved Egypt would return to obscurantist, backward eras of the Middle Ages under the pretext that this is 'real' Islam! Our researches in Quranism show that True Islam contradicts all the political projects of Wahabi trends seeking to establish a theocracy in Egypt. It is our duty toward Islam and toward our beloved Egypt to show and explain Quranic facts and historical facts that will save the name of Islam and will save Egypt and all Muslims worldwide. He said: And so, the Wahabi trend in the political life in Egypt hates you, whereas most Egyptian politicians seek to obsequiously flatter, please, and praise Wahabis; remember that the Egyptian government persecuted you for a long time. We said: We do not write anything to please the Egyptian government or take its side; we care only for our beloved Egypt and for real Islam (Quranism). We accuse the Egyptian government of supporting and encouraging corruption and of being the direct cause of frustration of youths who either turn out later to be extremists and join terrorist groups like the MB or sink into despair and oblivion. It is our duty to criticize the Egyptian government and we never regretted this stance nor ours in undermining and refuting the Wahabi Sunnite religion and its extremism that poses a threat to our beloved Egypt. We have no interests to seek nor any powerful figures to please; we never change our stances, situations, or views as per what seems to us as the right side of things and issues, regarding Egypt and Islam. Politicians, on the other hand, are a bunch of opportunists whose stances and views (for and against rights of people) might change without prior notice to serve their purposes and interests. We are never one of them, you know; we seek only to write what will make our conscience clear. He said: But as a writer, you must seek to be popular and acquire more readership, right?! We said: No; it is far more important to respect minds of readers; we are not to deceive them by hiding truths and facts or by telling them lies and falsehoods that appeal to their emotions and whims. We know that many of our writings shock readers at first as they undermine all inherited notions in religion and politics. Some readers become our enemies; yet, the true words will remain and win eventually. We are in a corrupt era of denegation, when myths prevail and people hate the Truth. Yet, the Truth shall prevail and myths debunked in the near future; God says in the Quran: "...As for the froth, it is swept away, but what benefits the people remains in the ground. Thus God presents the analogies." (13:17). He said: I do not talk about the future but about today; you are losing readership today while seeking readers of tomorrow who might not be there after your death! We said: You are insulting Egyptian readers; they might be deceived temporarily by those writers who sold their pens for money to serve the affluent, powerful ones. Yet, Egyptian readers soon take the side of rights and the Truth and they criticize and cast doubts on clergymen and raisers of empty mottos, and eventually readers wake up and know what their rights are. Readers eventually will side with God's Quranic verses and true facts of history that entail readers to ponder deeply and reasonably on our writings as we never seek money, power, leaderships, or rewards. We seek only reform and readers will know this sooner or later. Readers will know who really are deceiving them and follow their whims and caprices and tell them lies. The art of politics is based on mutual interests and faking news and changing and twisting facts. Such fickleness and changes of stances exposes corrupt ones. Those who are engaged writers like us never contradict themselves in their writings. God commands us to follow those preachers and reformers who seek no rewards from people: "Follow those who ask you of no wage, and are themselves guided." (36:21). Thus, we offer guidance to people and raise their awareness of Islam and human rights and we seek no rewards or praises from anyone. Others who sold their pens are seeking to please their masters by writing lies what serve their interests. The hypocritical writers serve Wahabis who seek to establish their obscurantist theocracy by deceiving the gullible masses with empty mottos. Yet, with the passage of time, those sham and fake writers will be scandalized and exposed one day. He said: But those hypocrites are united in hating you very much and in distorting your image in Egypt, right?! They might seek to harm or assassinate you in the USA?! We said: "Say, "Nothing will happen to us except what God has ordained for us; He is our Protector." In God let the faithful put their trust." (9:51). It is a great honor for us if we one day get killed for God's sake as a martyr who served the Quranic Truth all our life. This above article was published in the Cairo-based independent Al-Ahrar newspaper on 14th of March, 1994, within our column titled (The Narrator Has Said). This article was among the last ones we ever published in that newspaper; soon enough, we were prevented from ever publishing anything. At the time, the liberal, free powerful figures struggled with the Wahabi MB powerful figures to control Al-Ahrar newspaper, and once the MB members controlled the newspaper, all free voices were stopped and silenced. This article was published 16 years ago; many waters have gone under the bridge and many changes occurred in Egypt. Some powerful figures were removed from the scene and some changed their stances, sides, and views, and many others rose in fame and authority because of their obsequiousness and servility within the Mubarak regime and its cronies. 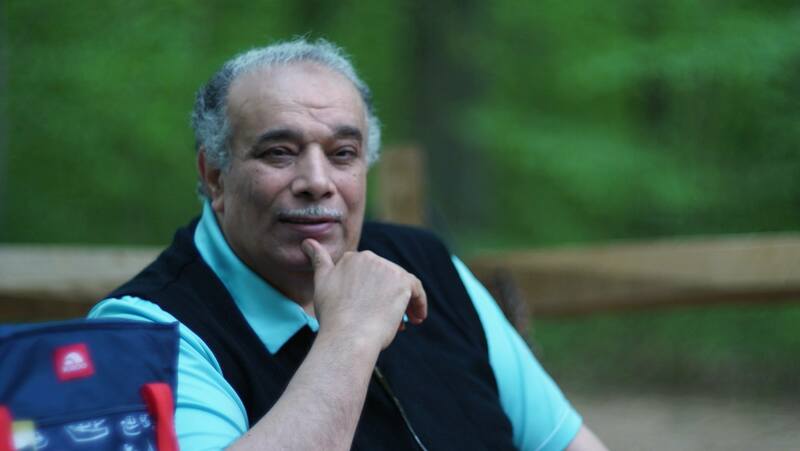 Within such changes and chaos, we, Dr. A. S. Mansour, never change our political and religious stances of seeking comprehensive reform; our views and stances never changed after seeking political asylum in the USA; they are the same views of ours that we have propagated in Egypt and now via our website. Hence, the query is posed: who are the ones who really dance amidst the steps of a staircase as they change their stances, loyalties, and roles so many times as per what serves their interests? !